An acupuncturist, herbalist and author (In Search of the Medicine Buddha), David Crow is the founder of Floracopeia, Inc. which supports ecologically sustainable agriculture and www.medicinecrow.com, an online botanical community. Through teaching and activism he promotes the creation of grassroots healthcare based on community gardens. Speaker: David Crow. The essential oil of Helichrysum italicum (immortelle oil) has emerged as ..
Speaker: David Crow. Examines the relationships between fragrance, olfaction, the limbic system..
Speaker: David Crow. This presentation examines the challenges and complexities of using essential o..
Speaker: David Crow. The first section is devoted to sources of dental xenobiotics (such as mer..
Speaker: David Crow. The overlapping stimulant, adaptogenic, tonic, aphrodisiac and nootropic f..
Speaker: David Crow. Plant-based medicines offer various mechanisms which may protect us from r..
Speaker: David Crow. Describes programs for bringing herbal medicine into home and community gardens..
Speaker: David Crow. Discusses the various traditional and modern uses of ylang ylang, neroli,j..
Speaker: David Crow. An in-depth study of the most important essential oil species and its healing p..
Speaker: David Crow. Continued from Part 1. An overview of the latest information on the effects of ..
Speaker: David Crow. An overview of the latest information on the effects of aromatic molecules on n..
Speaker: David Crow. The botany, history and therapeutic uses of the world's two most important medi..
Speaker: David Crow. An overview of the latest research on the therapeutic uses of essential oi..
Speaker: David Crow. 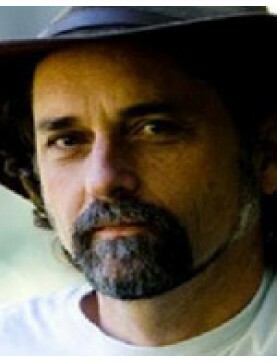 Learn how students participate in raising, harvesting and using organic fo..
Speaker: David Crow. Experience an olfactory feast featuring some of the world's most exotic, r..